Mary-Kate Olsen is an American actress, businessperson, fashion designer, producer, author, and equestrian. She is the daughter of Jarnette “Jarnie” (Jones) and David “Dave” Olsen. Actresses Ashley Olsen (Ashley Fuller Olsen) and Elizabeth Olsen (Elizabeth Chase Olsen) are her sisters. 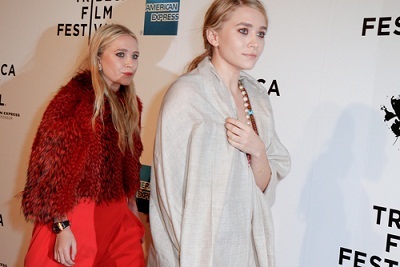 Mary-Kate and Ashley, who are twins, have appeared in television and films since infancy. Since then, they have appeared in television programs, films, interviews, as well as commercial endorsements. Although they are virtually identical in appearance, they are genetically different fraternal twins. Mary-Kate is married to French banker Olivier Sarkozy. Olivier is the half-brother of French President Nicholas Sarkozy. Mary-Kate’s maternal grandfather was likely Daniel David Jones (the son of Daniel De Jarnette/Dejarnette Jones and Rose Marie Sisto). Mary-Kate’s likely great-grandfather Daniel was the son of Daniel De Jarnette/Dejarnette Jones and Augusta Sophia Manshardt, who was born in Ohio, to German parents. Rose was born in California, to Italian parents, Donato F. Maria/Mario Sisto, Sr., who was born in Ruvo del Monte, Provincia di Potenza, Basilicata, and Celeste Lucia Rubino, who was also born in Potenza. Mary-Kate’s maternal grandmother is Mary Rose Fuller (the daughter of Arthur Louis Fuller and Nell Esther Rose).